Note: In a bit of operator error an earlier version of this post clipped off the first para. Here it is restored. 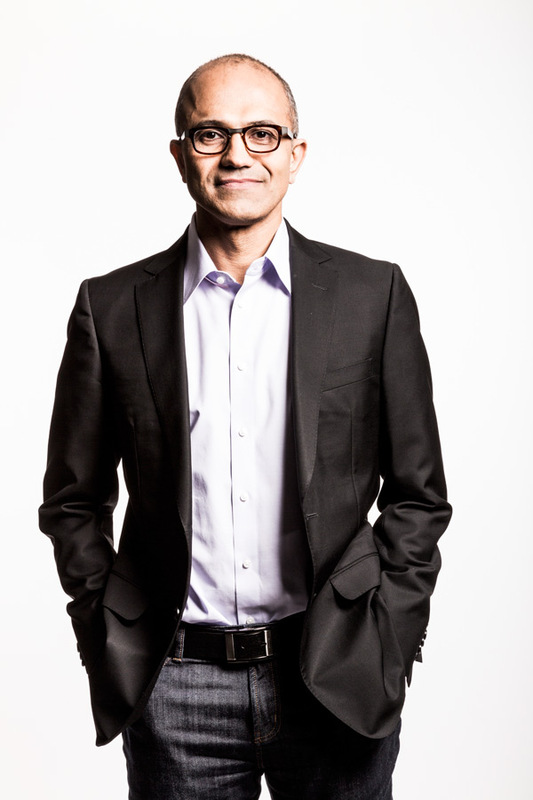 Microsoft announced its selection of Satya Nadella to be the third Microsoft CEO today and I wish him well. In a flurry of announcements, Bill Gates also stepped down as Chairman of the Board and will re-integrate himself into product development as a kind of guru in residence. I wish him well too. Heck, I wish everyone over there well. Microsoft is too important to the technology industry generally and software in particular for them to continue the holding pattern they’ve been in for the last several years. Nadella’s email to the company, which was widely distributed, contains a section headed, “Why are we here?” Among the reasons Nadella gives is this: “As we look forward, we must zero in on what Microsoft can uniquely contribute to the world. The opportunity ahead will require us to reimagine a lot of what we have done in the past for a mobile and cloud-first world, and do new things.” Exactly. I agree but I am not sure it’s enough. If I had Bill’s cash I would purchase a copy of Brynjolfsson and McAfee’s new book, The Second Machine Age for every employee and I’d make it mandatory reading. The central idea of the book, and the thing I think Microsoft needs, is an understanding that we’ve passed a major milestone. Up to now we’ve built increasingly powerful and complex technologies that automate away huge hunks of everyday tasks. Since its beginning, Microsoft has done this very well. But the next phase will be all about how we leverage technology to do things that have never been thought of before. To invent things from whole cloth. Microsoft has a lot of very sophisticated technologies in stock from its sensing technologies that make its video games so realistic to its database, ERP and CRM technologies that rival anything on the market. However, these are me too products. At this moment in technology Google is inventing Google Glass and cars that drive themselves; Apple has rung up a string of new devices and I expect that Angela Ahrendts, former CEO of Burberry’s, will have something interesting to say about wearable computing soon; Intel is actively working on multiple fronts including wearables interestingly enough; Oracle has reinvented databases and storage for the cloud; and Salesforce has pushed the concept of platform further than any company in history. There’s also social media and titans like Facebook and Twitter have revolutionized society with their wares and there are other companies right behind them. These companies are inventing the future. In this environment Microsoft looks positively dowdy with its suite of applications, Windows everywhere, and games. If Microsoft simply decides to be a player in one or all of these markets, it will fail and Nadella will be known as the guy who let it slip through his fingers. But really there will be plenty of blame to be shared by now ex-CEO Steve Ballmer and now former Chairman, Bill Gates. Knowing this Nadella has the chance to be the guy who pulled back on the stick and got the company flying high again. Will he? What will he do first? Where will he place his bets? He needs the company to invent something that hasn’t been thought of yet, something that will get the company back into the game of being new and different. I am not sure he’s the guy or even if there is a guy for this, but as I said, I wish him well. We’re counting on him. I am indebted to my friends at the Enterprise Irregulars, for the links in this piece. The IE’s, if you didn’t know, are a rag tag group of certified smarties who know all kinds of stuff about the greater tech industry and I am flattered that they let me hang out with them. Reuters is running an interesting story about Apple CEO Tim Cook and Larry Page of Google keeping the hotline open — you really need to be a child of the 1960’s to fully appreciate this metaphor. Suffice it to say that it is the origin of the little red phone. But also, there was this really interesting post at ZDNet by Jason Perlow about Samsung and Google’s collective need for a new dress. I particularly recommend Perlow’s article because, while the idea of product dress might seem weird to some people — especially those who take issue with the look and feel aspects of the Apple suit — it might interest you to know that product dress is a legal term. Without giving away Perlow’s point, let’s just make the observation that the classic Coke Bottle, which has nothing to do with how the stuff tastes, is part of Coke’s dress and its IP, as much as its secret recipe. Only Coke has Coke Bottles, for a good reason. So go read that article. My point here, other than giving a shout out to the IE’s and trying to enlighten others, is that Apple might have, at least momentarily, hit on the only look and feel for mobile devices that will ever be widely accepted. Tapping, swiping, pinching — things that come natural not only to the members of our Genus but also our Family and, who knows, maybe even our Order — might be so hardwired into our beings that coming up with an alternative might be a waste of time. Holy $%^& Batman that might mean that Apple could end up owning the mobile UI and someday soon be in a position to make a few pennies on every Samsung or HTC device running Andriod for ever. Believe it or not, such an outcome would not be unique in the annals of business or manufacturing. It might have something to do with cross licensing (I know, but don’t confuse it with dressing mentioned above). That’s when more than one company asserts ownership rights to an invention that each came up with the old fashioned way (you know, R&D?). But rather than fighting about it for years, the two (or more) companies come to terms, some money and possibly other patents are traded and then it’s back to business. The best example of this is the car industry. Car radios, V-8 engines, automatic transmissions, how heating and air conditioning systems work, how the controls are set up and lots more, all have patents and if all cars look more or less alike in some basic features and functions, it might be because their makers went to the same patent swap meet. Yes, patents expire so don’t go looking to fund the fifth generation grand kids college even if you have lot of patents. So this brings us back to Larry and Tim and the hotline. May we be informal for a moment and simply refer to each other using first names like they do in the music biz (Elvis, John, Paul, George, and especially Ringo; but also Bono, Sting, Eric and many others)? So, Larry bought Motorola (early car radio patents, BTW) at least in part for its stable of patents to ward off just the kind of suit that Tim’s company is making famous in the mobile industry (Tim should file a patent! hahaha!). And Larry, Tim and their minions are keeping the lines of communication open as they say. What are the odds that the verdict put the discussions into high gear and that there’s an informal-formal patent swap meet happening out in the Valley between these principals? Nothing would surprise me but I think that if both sides remain reasonable and use their inside voices and big words, that there will be an announcement in the not too distant future that they’ve struck a deal. If so, the deal would create the stack of the decade. Just as Wintel described a stack of Windows OS and Intel chips that made the personal computer; or as LAMP stands for Linux, Apache, MySQL and PHP for cloud application servers, some standard that combines Mobile/Google/Android/Motorola/Apple might emerge from all this chaos for mobile devices. Let’s see, MOGAM? MOGA? GAAMMO? AGAMO? AAM? AA? Who knows, naming might be the stickiest part of the negotiations that aren’t happening on the hot line at the moment. There is a very good article in the current issue of Vanity Fair (with Alec Baldwin on the cover) about Microsoft. In “How Microsoft Lost Its Mojo” Kurt Eichenwald recounts the failures and bad decisions of the company’s “lost decade” a time overseen by current CEO Steve Ballmer. If you are in this business you can probably recall at least some of the major inflection points related to missed opportunities and in-fighting that cost the company its market leading position. I thought it was just me, but Eichenwald even compared Microsoft to Detroit auto makers and their past glory. For good measure he ends with a long quote from Steve Jobs’ biography about the difference between having a sales or ops guy running the show and having a product guy in charge. Sad. Worth reading. According to the article, Microsoft’s stock has barely budged over the last ten years while other tech companies flew by — Google, Facebook and of course Apple. In one recent quarter iPhone alone made more money than all of Microsoft. The article quotes Ballmer saying he wants to remain at Microsoft till 2018 but I don’t think the company can wait that long. The article also implies that Ballmer might be a smart pick to break the company up and to take the legacy products into the sunset while more product oriented people try to salvage the core of innovation, if it still exists. Ten years of stagnation can’t be sitting well with Wall Street. What will it take to orchestrate a palace coup?